Some Jewish holidays are widely practiced. Others are often ignored. Yet, whether popular or not, the Jewish holidays are largely misunderstood. Of course, Chanukah is about light and Passover is about freedom, but there is so much more. Each Jewish holiday has much to teach us. Still, the Jewish holidays are more than a collection of individual days. The whole is much greater than the sum of its parts. They form a beautiful and intricate system. The holidays accompany us through the seasons, years, and our lives. They offer comfort and meaning. Understood properly, they can turn what seems like a boring, repetitive’ religion into an incredible, inspiring identity. Thankfully, in our times, there is a wealth of information about the holidays available. There is, in fact, so much information available that it can all seem quite intimidating. After all, for many of your students and congregants, books such as Gateways to Judaism or The Book of Our Heritage will be too big and daunting to really learn from and enjoy. In The Jewish Holiday Handbook, author and international lecturer Rabbi Doron Kornbluth has done a masterful job of bringing the holidays to life in an easy-to-read format. Readers can quickly get an idea of each holiday’s main activities and themes. Each chapter includes a brief description of the holiday, a summary of preparations and practices, and a short look at some of the holiday’s most interesting, thought-provoking, and important ideas. As a paperback book that is only 167 pages, The Jewish Holiday Handbook is full of information that can be enjoyed by both the scholar and layperson and won’t scare away the reader by its size or writing style. This book is one that you can give as a gift to donors, to someone new to Judaism, etc. 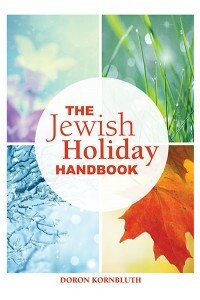 The Jewish Holiday Handbook sells for $9.99 plus shipping. However, we have arranged a special deal for all NLEResources.com readers. Simply order twenty or more books and you and your organization will receive 50% off your order plus shipping! 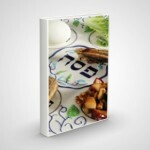 To receive this special price, contact Rabbi Kornbluth directly at doronkornbluth at gmail dot com and mention that you read this review on NLEResources.com.